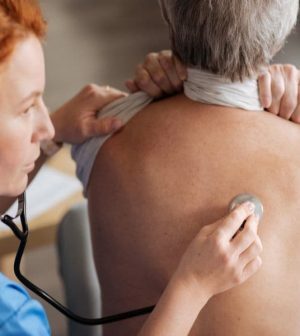 Millions of Americans take angiotensin-converting enzyme (ACE) inhibitors to lower their blood pressure, but a new study suggests they might also increase their odds of developing lung cancer. Among people taking these drugs for more than five years, the increased risk may be as high as 14 percent. Although that seems a small number, it could represent a large number of patients, the study authors noted. “The silver lining of our findings is that while we found an association, the risk at the individual patient level is likely low, even after 10 years of use,” said lead researcher Laurent Azoulay, an associate professor of epidemiology and oncology at McGill University in Montreal. “For this reason, this should not deter patients from taking these drugs, should their physician deem the treatment appropriate,” he said. Azoulay also cautioned that this is an observational study, and it can’t prove these drugs actually cause lung cancer. Although ACE inhibitors are great for lowering blood pressure, they may also increase chemicals in the body that are linked with lung cancer, he explained. Specifically, chemicals called bradykinin and substance P in the lung have been found in lung cancer tissue, and bradykinin may stimulate the growth of lung cancer. Common ACE inhibitors include Lotensin (benazepril), Prinivil (lisinopril) and Altace (ramipril). Deirdre Cronin Fenton, from the department of clinical epidemiology at Aarhus University in Denmark, said patients should weigh the benefits of these drugs against a small possible risk. “In an individual patient, any concerns about the risk of lung cancer should be balanced by the survival benefit associated with the use of ACE inhibitors,” said Cronin Fenton, who wrote an editorial that accompanied the study. Both were published Oct. 24 in the medical journal BMJ. For the study, Azoulay and his colleagues collected data on nearly 1 million patients whose medical records were in a British database. These patients began taking drugs to control blood pressure between 1995 and 2015. The participants were at least 18, with no history of cancer, and they were followed up for an average of six years. During that time, nearly 8,000 developed lung cancer. After accounting for factors that might influence the findings, such as age, gender, weight, smoking, drinking and history of lung disease, Azoulay’s team found that ACE inhibitors were tied to a 14 percent increased risk for lung cancer. The risk for lung cancer was seen after five years of taking these drugs. For those who took them for more than 10 years, the risk increased to 31 percent, the researchers found. A specialist not involved with the new study said patients taking ACE inhibitors should not worry because the benefits of these drugs far outweigh any risk for lung cancer. “ACE inhibitors have been extensively studied in a multitude of large-scale, randomized clinical trials in very diverse patient populations,” said Dr. Gregg Fonarow, a professor of cardiology at the University of California, Los Angeles. In these trials, the benefits of ACE inhibitors have outweighed any potential risks, and many of these studies showed reductions in deaths without any evidence of an increased risk of cancer in general or lung cancer in particular, he said. “These findings should not raise concerns about the safety of ACE inhibitors,” Fonarow said. Visit the U.S. National Library of Medicine for more on ACE inhibitors.